Unaided recall and aided recall are methods to bring back information from memory, in qualitative marketing research. The role of the moderator is to gain information from respondents. This information comes mainly from a person’s memory. It is the mind’s ability to encode, store, and recall information. There are several theories about memory. The mind has short-term and long-term memory. The mind is conscious and subconscious. So how does memory work physiologically? Neuroscientists believe the brain consists of over 100 billion neurons. A complex neural network connects neurons and clusters of neurons, which stores information. When stimuli run through the neural network, they activate neurons, which store memories. Those neurons activate other related neurons, which store other memories, and produce memory associations. People rebuild stories from memories. These stories need rebuilding because memories change. New information changes memories. New perceptions change memories. Memories forget, fade, and become fuzzy with time. 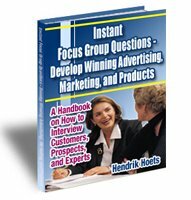 So how to aid recall when conducting focus groups? You use three types of recall methods. They are unaided recall, partly aided recall, and aided recall. The moderator asks respondents to recall information without the aid of a cue or prompt. Always ask unaided questions before aided questions to minimize bias. You ask respondents to recall knowledge, feelings, or beliefs by offering a partial cue or prompt. The cue is general. Here are common examples of partial cues. Projective techniques provide partial cues too. “If a this car were an animal, what animal would it be?” How does the animal describe the car? Also, laddering provides cues. It uses specific product features or functional benefits to as partial cues to identify related emotional benefits. The moderator tells or shows specific prompts to respondents, and then asks a question. The prompt stimulates memory associations. Here is an example. “When you buy heavy-duty lubricant oil, what are the most important factors to think about... (prompts:)quality, specifications, service, price, advice, OEM approval? When conducting a focus group, ask unaided recall first. Then, ask partly aided recall. Stick to the sequence to reduce bias.